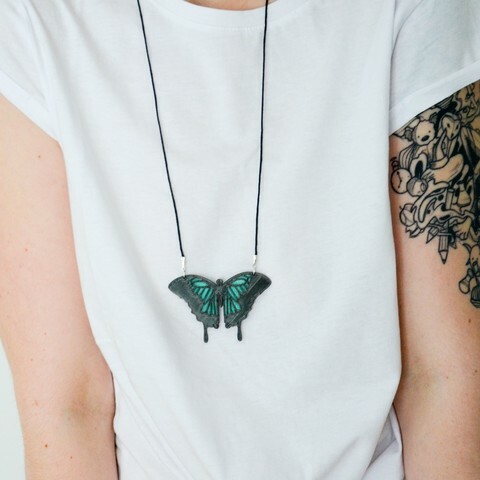 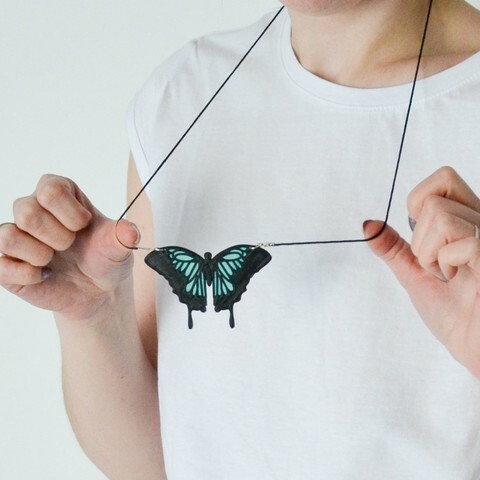 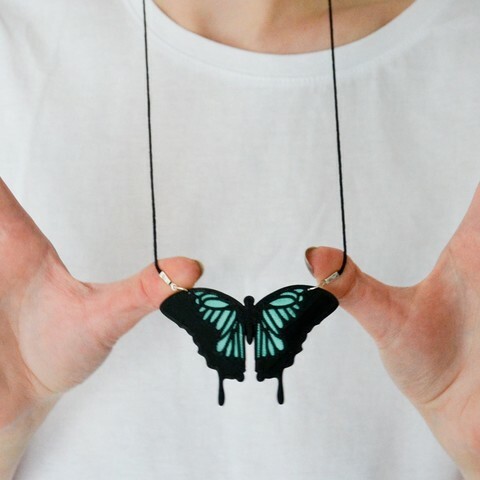 Butterfly necklace printed in two colors. 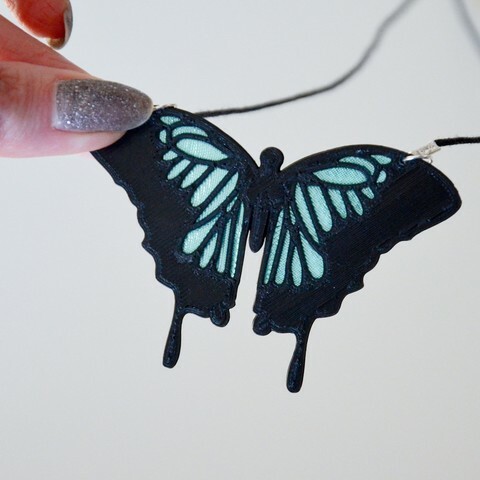 I've printed the middle (color) layer in many different colors, but when I've use transparent PLA the effect was amazing! 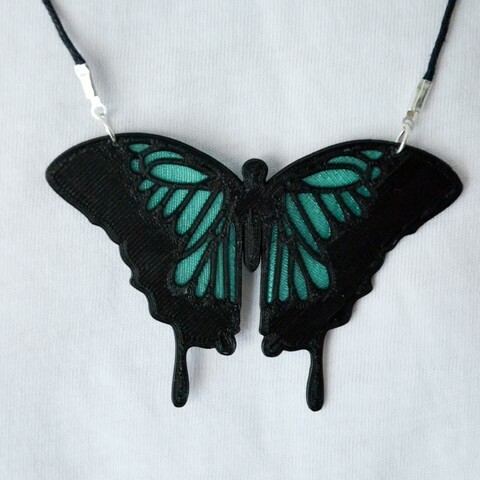 For multi color print I've prepared butterfly.stl file.